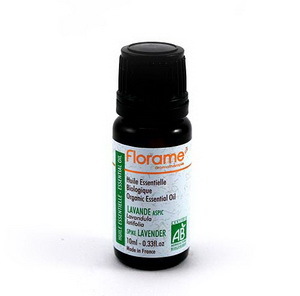 Huile essentielle bio Lavande aspic 10ml Florame - Lavandula spica. aucune contre indication aux doses normales. the smell is worse than the common lavandula angustifolia. Good oil! Well it cold, antiseptic. HE excellente contre les brulures. the smell is worse than the common lavandula angustifolia. Good oil! Well it cold, antiseptic.